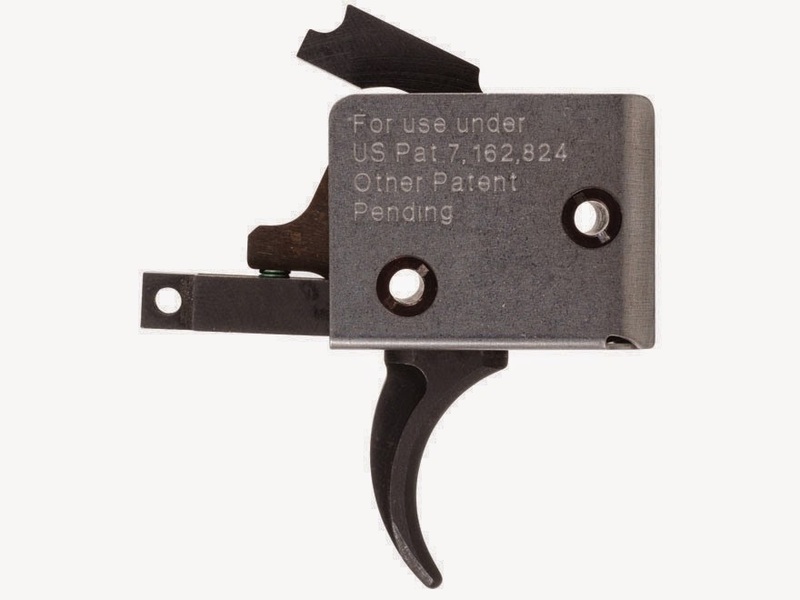 TAC-CON trigger group for the AK looks interesting. It's a fancy bumpfire trigger. I know it's not really a bumpfire trigger and they'll tell you it's not, but that's the impression I get from watching their TAC-CON AR15 video last year. It's a trigger and hammer set in it's own housing and the first one-piece drop-in FCG for the AK platform, as far as I can tell. This interests me as a builder, in that it eliminates one step from the building process - that is heat treating the axis pin holes to harden them and preventing them from egging. Or at least I think it would eliminate the need to harden the axis pin holes. The TAC-CON FCG housing would have to be touching the floor of the receiver so that it could distribute the stress across more surface area of the receiver. I'm not really willing to spend that much on my projects to find out, but the idea is still something I want to further investigate. When you think about it, the AK receiver has 1.25" of space inside, so there is more than enough room inside to build a drop-in trigger housing. Centerfire Systems is still selling a partial 5-pack FCG for 10 bucks so it only costs $2 to experiment. Something simple like this, but for the AK platform. I guess in the end you'd still need to fit and harden the ejector and if you're gonna do that you might as well harden the axis pin holes too.